It’s simple. 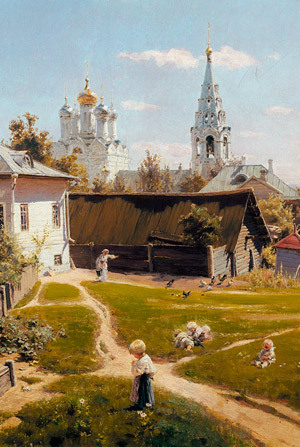 From the very opening of Mama Ro, we believe that our guests buy a piece of Moscow together with the studio. And it’s our job as well, on par with cleaning the studio or making a bed, to competently prepare everything and transfer that to the guest at the time of arrival. 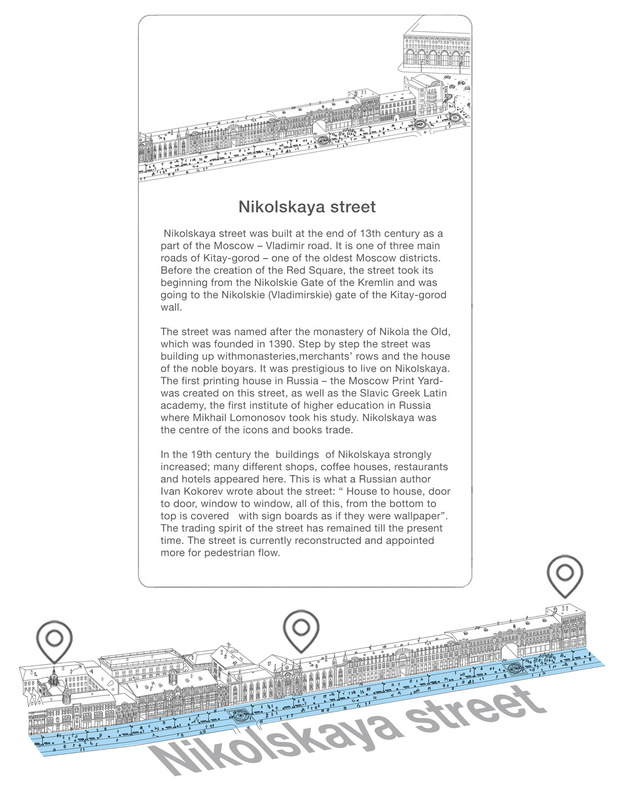 Therefore, we observed what our guests ask most often and then took most in demand route – between the studio and the Moscow Kremlin – and have drawn it in detail. 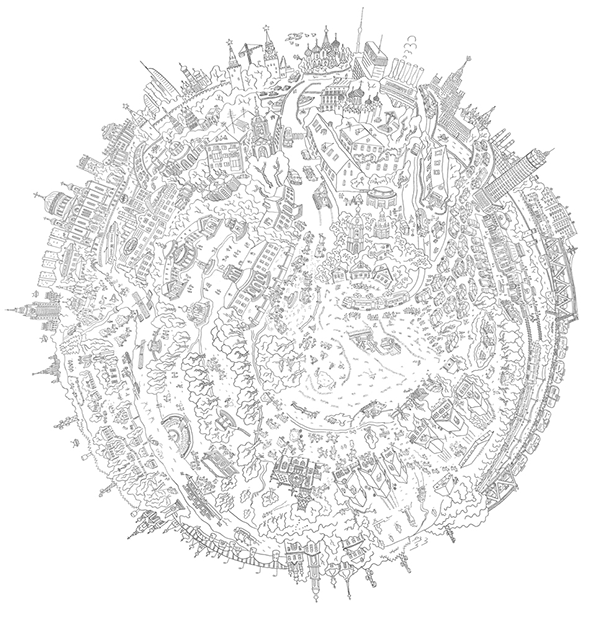 And we also drawn the Moscow Kremlin in every detail. If you ever plan to visit Moscow and live a bit in Mama Ro, this route will stand you in good stead. And maybe will even inspire you to see this incredible city by yourself. 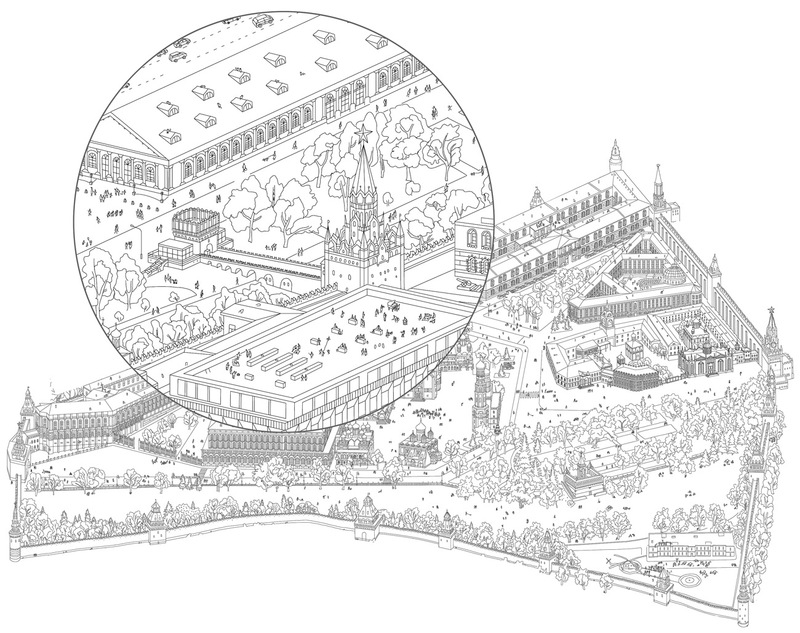 Also, we came up with some sort of attraction: try to take a magnifying glass and get lost among the busy life around the Kremlin. Try, for example, to find a saint who tamed a bear and the Mama Ro’s picnic under one of the 20 towers. And when you have walked enough, take a plane, train, car, dog sleds and come to Mama Ro to make exactly the same trip but in live.